Judging by that sentiment, Ken ‘Millie’ Miller more than lived up to that standard. 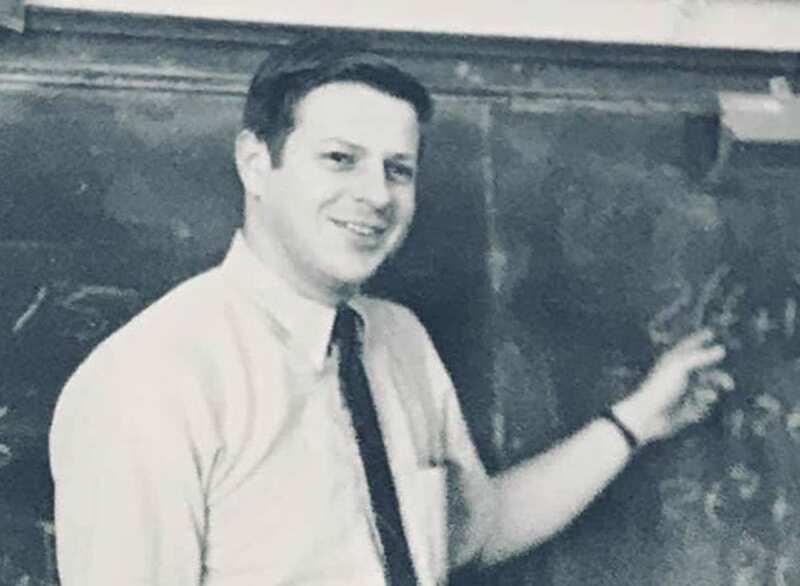 The former Hilltop faculty member, who was born in Portland, Maine, and raised in Massachusetts, taught basic math, algebra 1 and 2, advanced math, eighth grade math, and was also a football and wrestling coach from 1967 to 1974. After he was done teaching at Hilltop, Michael recalled, “He lived in the area. He worked various factory jobs. I couldn’t tell you all of them. I think that he worked at Arrow Tru Line for a while. The fallout resulting from difficult divorce was a contributing factor to what wound up being an early onset of dementia and being admitted to a nursing home. On January 11 of this year, Ken Miller died in a nursing home in Grand Rapids, Ohio. He passed away and was cremated, but nobody stepped forward to do anything with his remains. Michael continued, “So basically, I was calling to find out where he was buried, and found he wasn’t buried and they still had his ashes. So they put me in touch with the lady that had been his power of attorney for last 24 years. I called her, and she said there was somebody else that had inquired about this…Pam Bly. I explained to her what I wanted to do was to bring him back here. I had already called the cemetery and found out I could get a plot for him, and I knew he was well enough liked that we could get a headstone. So I told her all that, and she said that sounded like something that would be a good place to go because she didn’t know what to do with it. She didn’t have any family contacts, and basically if somebody wouldn’t have stepped up, the City of Grand Rapids would have decided where and when he would have been buried.” Millie was about to be rescued from the Potter’s Field. As far as the interment of Ken Miller goes, there are no ceremonies planned as of yet. “It’ll probably be mainly just these friends maybe coming out,” Michael said; “I don’t know. We haven’t even set a date for that. I haven’t got the plot picked out yet; I’ve just been promised one.” Millie’s road home, like any other journey, goes one step at a time. There will be a time and a place for everything, but everything will add up to the one big thing…Ken ‘Millie’ Miller, whose impact on his students still reverberates over a half-century, is coming home. His was a life that indeed truly mattered. Be the first to comment on "Former Students Of Hilltop’s Ken ‘Millie’ Miller, Band Together To Bring Him Home"